Here is another one of Jonathan Postal's creations--built in Memphis, Tennessee. This Delta Zephyr has a chambered Ash body and a matched 2-piece Ash top--complete with a hand-carved F-hole and top binding--finished in nitrocellulose lacquer. 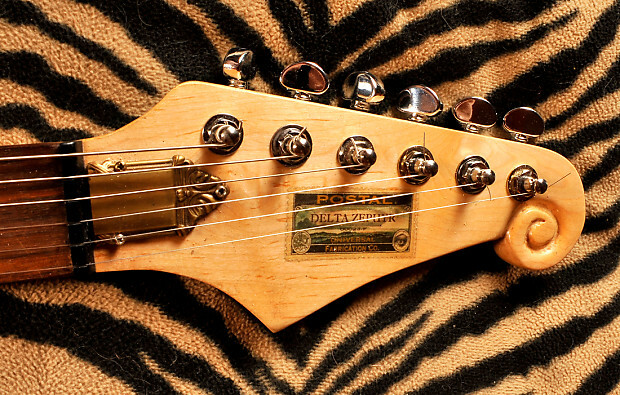 The neck is maple with a rosewood fret-board and a hand carved angled head-stock. 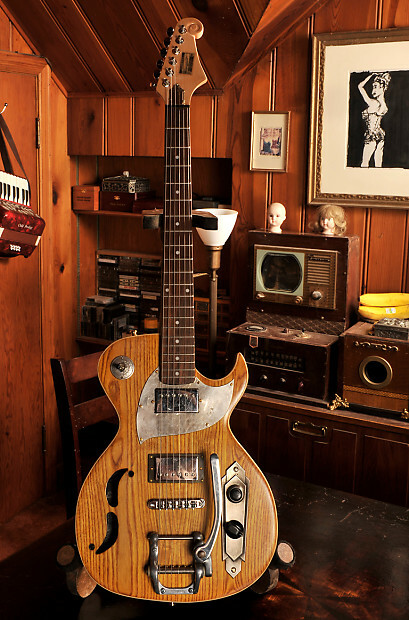 This guitar sports Grover tuning machines and twin humbuckers. 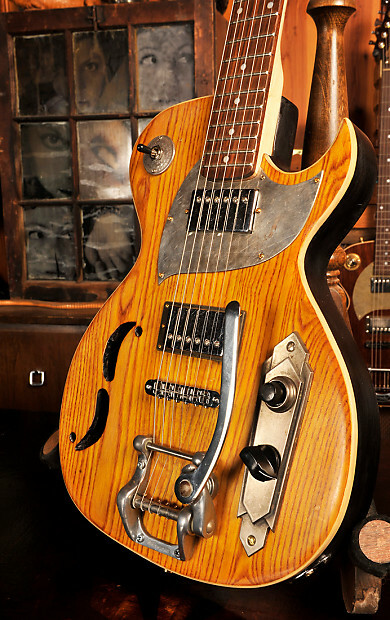 The pick-guard is hand fabricated from sterling silver and additional hardware is fabricated from antique metal. 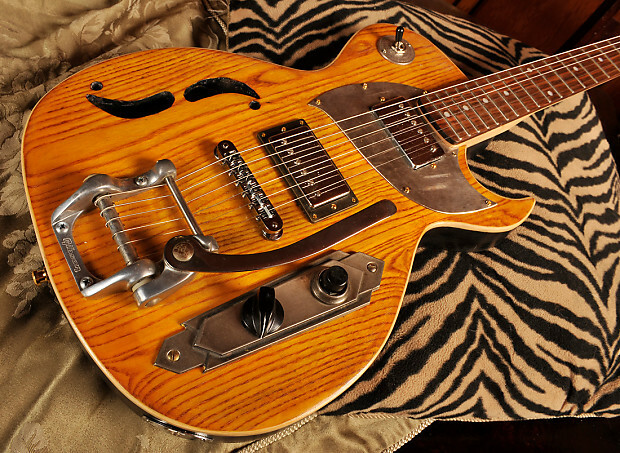 The vibrato is a vintage Gibson Bigsby. 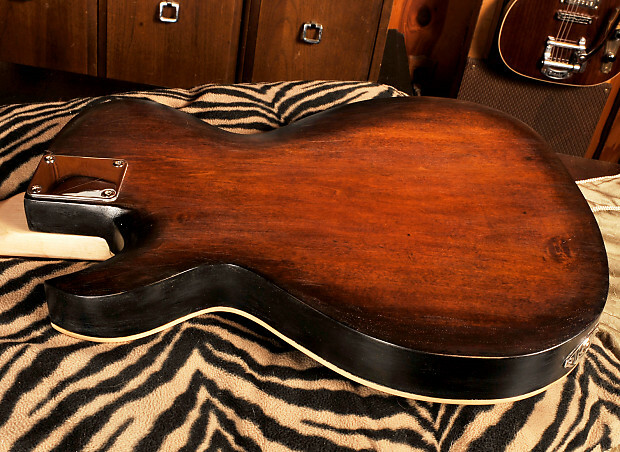 The guitar's sound matches its look: The guitar is simultaneously elegant and rustic. Another work of art by Jonathan Postal. Of course, I will always entertain any reasonable offers. A hardshell case is included. There is a $25.00 handling fee in addition to shipping costs if not buying locally.